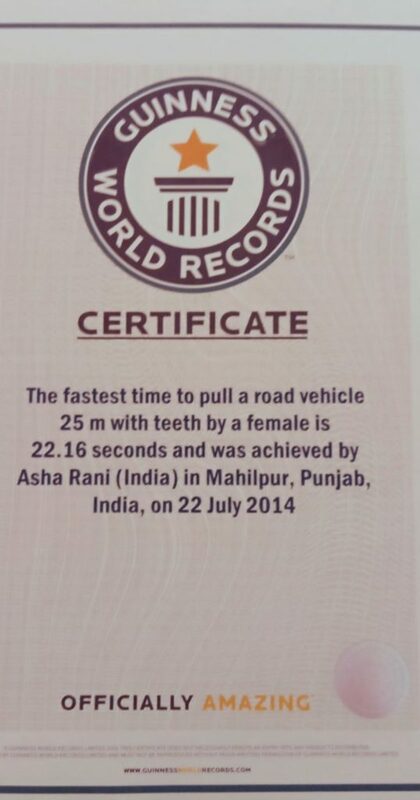 Asha Rani, Leicestershire’s ‘Iron Queen’, has broken a world record by dragging an Alltruck truck five metres whilst wearing high heels measuring over 7 cm. 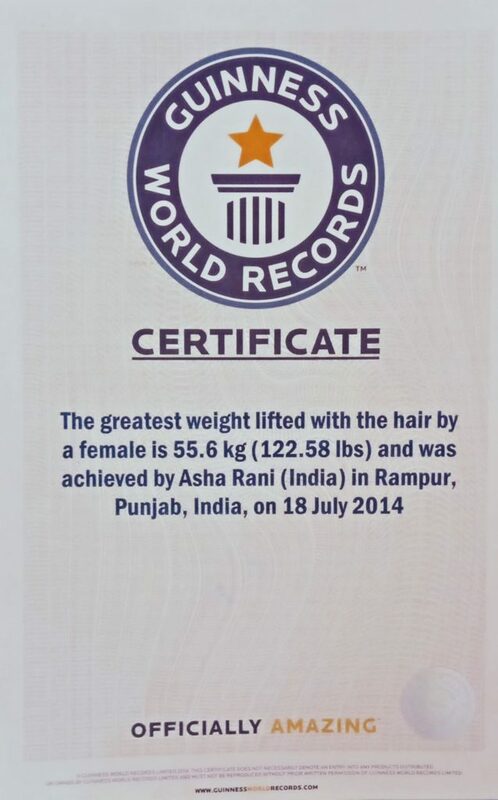 This becomes the heaviest truck ever pulled by a woman in high heels in the world and means Asha should be entered into the Guinness Book of Records after the record has been independently assessed. The Alltruck DAF CF 250 was filled with cargo, so that it weighed 11,380 kg. The previous record for heaviest truck ever pulled in high heels was set at 6,586 kg by Canadian Lia Grimanis in 2014, meaning Asha smashed the record by nearly five tonnes. Shortly before the event there was a downpour of rain which meant that Asha only attempted the high heel truck pull and not the 100-yard truck pull as planned. However, the rain couldn’t dampen the mood of the nearly 200 students that cheered Asha on as she broke the record. The truck pull attempt was organised as part of a wider celebration held at Ellesmere College. It marks 10 years since the national Special Olympics in Leicester (2009) and the school wanted to raise awareness of the Special Olympics and celebrate the success of former student Julie Freestone, who will represent GB in the Special Olympics in March. The Leicester-based school teaches over 270 students with a range of educational difficulties. The school specialises in sport so the Special Olympics is something very close to the hearts of both its teachers and students. Former Ellesmere College student Julie Freestone will participate in the upcoming Abu Dhabi Special Olympics. The Special Olympics, which starts in March, is the world’s largest sports organisation for the intellectually disabled and marks the first time in the Olympics’ 50 year history that the event has been held in the Middle East. “Here at Alltruck we like to give something back to the local community that we serve. So, when we heard about Asha wanting to break the record for heaviest truck ever pulled by a woman we couldn’t volunteer one of our trucks fast enough.” Kieran Matthews, Digital Marketing Executive at Alltruck explains. 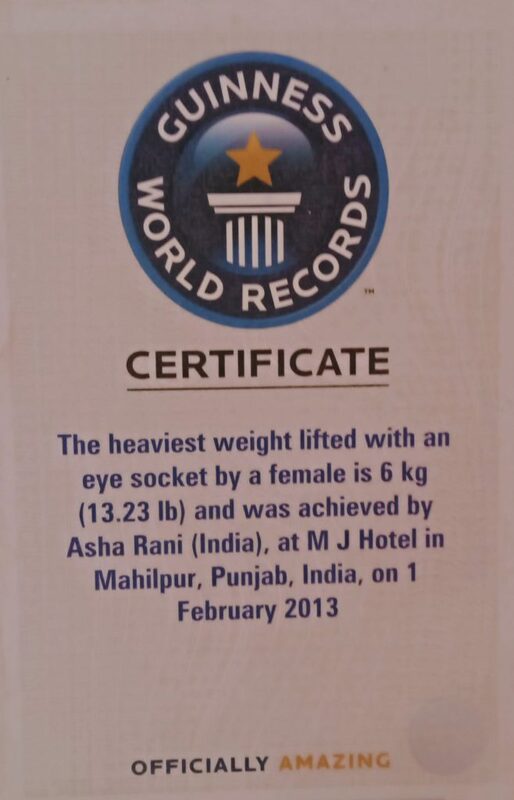 Once the world record has been adjudicated it should mark Asha’s tenth world record. Previous records she has achieved include the heaviest weight lifted with human hair and heaviest weight lifted with an eye socket. However, she still has a long way to catch up with her friend and trainer Manjit Singh, Leicestershire’s Iron Man, who has broken 69 world records. Manjit, who has trained Asha for the last 10 years, said: “I was nervous and she was nervous because it was raining and the floor was wet and she couldn’t get a proper grip. The kids were all cheering her on and encouraging her shouting ‘go on Asha you can do it’, so that probably helped her. Steph Beale Principal at Ellesmere College, added: “It was really important for our children to see what they could achieve if they put their mind to it. It was really interesting to see when Asha didn’t succeed on her first attempt, our children cheered her along and were saying ‘come on you can do it, try and try again’ and that’s the message that we try and put across to our children. 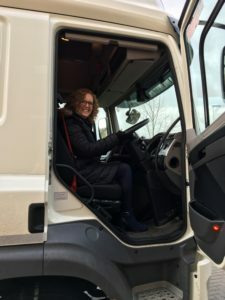 Following the event, the children were allowed to look around the truck, with some taking a greater interest in the truck than the world record attempt itself! The DAF CF 250 is part of Alltruck’s wider rental fleet that encompasses vans, 12t, 18t, 26t boxes and curtain siders as well as tractor units and trailers.